I had another one of those mixed days today that makes me smile to myself as a pioneer! My day started with the 8am BCP service of Eucharist. Ok, some people will say some of the language is beautiful … maybe it is! But … this service, for me, sums up a lot of what is wrong with church from the age of Christendom and which is why I presented myself for pioneer ministry. There is no engagement between people. Today we had 15 people in the fairly large Quire area of the cathedral. Most of the 15 sat far away from each other. During the administration people gave no eye contact. The language is archaic and I struggle to understand some of the words – if I did not read it all beforehand to remind me I worry that I would be quite lost! Afterwards I spoke with 3 out of the 15 people. It seems to me that there is no sense of ‘community’ here. There does not seem to be any sense of travelling together to discover God. There seems a lack of expectation and a lack of excitement over what God is doing in the lives of these people and what God is challenging them to next which I see in quite a few people who worship at the 10.30 service. I am not saying there is no engagement … merely that I am not seeing it; it’s not obvious to me. Maybe, being mainly British, these people keep that to themselves in this service? maybe this is a result of these people growing up in a style of church which encouraged seriousness and frowned upon fun in a sacred space? There could be many reasons! The 8am service provides for a need of these 15 people but I do wonder what is being achieved. I cannot second guess what God may be doing and I am not going to say this service is not valid, as these people genuinely come on a weekly basis and find ‘something’ of God. But I do question what is happening here, what are we doing, what image of Christianity does this portray to the casual visitor, one of whom popped in and out today! What did she see? The 10.30 service is a very engaging service. As a pioneer today, as quite a lot of the time, I find that I discover more of God in the music than I ever felt possible. The singing of the sanctus today was amazing and the sound brought to mind a powerful image of Christ on the cross which nearly moved me to tears. But … I have noticed over the last few weeks that people walk past and are intrigued. We now have glazed doors which means people can always see inside the cathedral from the street. Sometimes people move to walk in, see the service and pause. They are surprised to see the building being used for worship. They stop, look and disappear, deciding, I guess, to come back later. Others come in and take a service booklet, only to quietly leave 10 or so minutes later. I have been wondering today what people see. When I see them at the glass doors between 10.30 and 1145 part of me want’s to jump up, go outside and talk to them, asking them what they think, what they were expecting or what, if anything, they are looking for? My missional heart wants me to go and find out how we can help them on their journey. I guess a big question for me is finding out whether these people are interested in faith or whether they are interested in just visiting the building. It’s easy to assume the latter … but I do wonder! Maybe I should take a Sunday to sit outside and ask these casual visitors … I might be surprised at the answers. 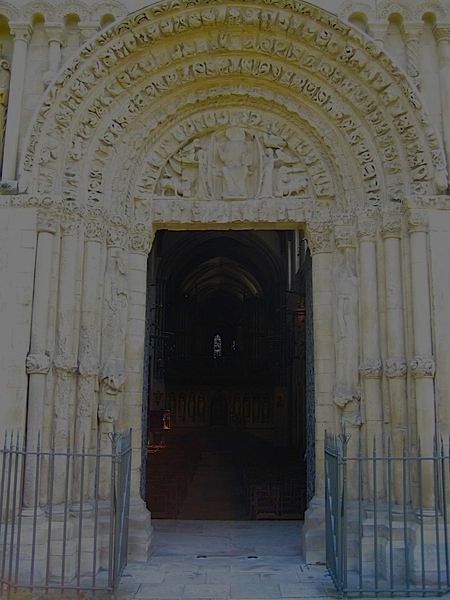 This entry was posted in cathedral, worship by robryan65. Bookmark the permalink.